Making a substitute for half-and-half is as simple as mixing two everyday ingredients together. Here's what you'll need to grab from the fridge to save yourself a trip to the store and some dollars and still keep your recipe on track. The trick takes under two minutes and makes a cup of half-and-half. This substitute works well in baked goods, soups, and other cooked dishes, but a word of warning—it won't whip so it shouldn't be used in any recipe that calls for whipping half-and-half, such as homemade ice cream. But you can make your own half-and-half for those recipes with minimal expense and fuss rather than use this substitute. All you'll need is some milk (just about a cup) and a tablespoon of butter or margarine. You can replace one cup of half-and-half with one tablespoon of melted butter plus enough milk to equal one cup. Drizzle the butter into a measuring cup and top it off with the milk. If you need more or less than a cup, just maintain the same ratio: one tablespoon of butter to almost-a-cup of milk. Your recipe will turn out great. Illustration: Ashley Deleon Nicole. © The Spruce, 2019. If you also happen to have some cream in the fridge, you can make your own half-and-half by mixing the two together in equal parts—no need for a substitute. Heavy cream should keep fine in your refrigerator for about a month, so it should still be OK if you bought it a week ago, or two or even three. 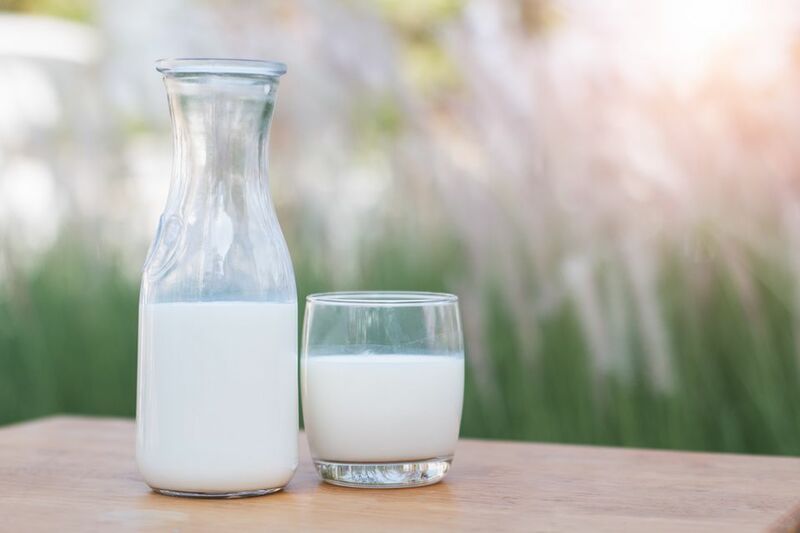 Commercially-produced half-and-half is between 10.5 percent and 18 percent milk fat, so just about any type of milk and cream that you have on hand will get you in the neighborhood of this percentage. If you only have non-fat milk and light cream in the fridge, you'll come up a smidgen short—that combination will give you about 10 percent milk fat. But in most cases, that will be close enough to get the job done. Half-and-half is a convenience item so you'll pay a premium for it. Just keep milk and cream in the fridge and mix up your own half-and-half as you need it. You'll have one less container taking up space in your refrigerator and one less thing to worry about using up before it spoils. If you only need half-and-half or heavy cream occasionally, just keep some heavy cream in the freezer and pull it out as needed. It freezes beautifully—just pour it into an ice cube tray. If you're using your half-and-half to make sauce or another dish that you'll be heating up on the stove, you can even add the frozen cream and milk directly to the pan. It will thaw as the dish cooks, creating your half-and-half, and it will save you the step of having to thaw the cream. Another option is to keep powdered heavy cream in your pantry. It can be reconstituted to create heavy cream or half-and-half in whatever amount you need. You may not find it in your grocery store because it's a specialty item, but it's readily available online.